Generally speaking, there are many guidelines for how often you need to change your brakes. The amount of time you need between brake changes will be based on how you drive, how many miles have been driven and what type of vehicle you’re driving. 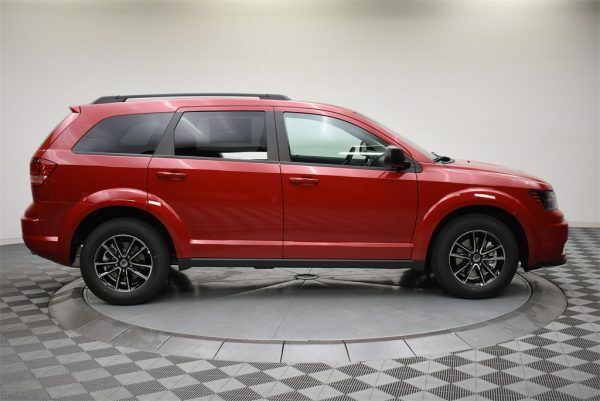 In addition, you could do more city or highway driving which doesn’t require the use of brakes as often, thus pushing the frequency of brake changes out a little further. Today I’m sharing a few signs that you may need to call and schedule a brake repair or a brake service with your local dealership. If your vehicle’s brakes are no longer responding as quickly as they used to or the brake pedal sinks to the floor, there’s something wrong. Your brake pedal should have some weight behind it and not sink to the floor. If you find that your vehicle’s brakes are no longer working as quickly as they used to or that you feel as if you “have no brakes” then call to get your vehicle in for a brake service today. Have you found that your vehicle seems to pull to one side when you put your brakes on? This could be a sign that your brake lines are weakening or that one brake pad is wearing thinning than the other side. No matter what this vehicle pulling means, it surely is a sign to go get your brakes changed by a professional who can tell you what the exact issue is. A brake pedal that seems to be vibrating also referred to as pulsating when you place your foot down on it could mean that it’s time to change those brakes. This pulsating brake pedal could indicate a warped vehicle rotor or that your vehicle is out of alignment. Both of these reasons for a pulsating brake pedal are enough to make that vehicle brake repair service appointment with a dealership. If you can hear something that sounds like grinding or growling, such as metal grinding together when you place pressure on your brakes, well then it may be time to change your vehicle’s brakes. This noise means that your brake pads have worn down too thin and are ready to get replaced. They do not work much longer so call your local car dealership now to get in for brake service. Reality is that brakes go bad quicker than probably anything else on your vehicle because they’re used on a daily basis. Think about how often you use your brakes when driving. It’s a feature of your vehicle that’s necessary for safety and every day driving. If you or someone you know is questioning whether they need to change the brakes on their vehicle or not, call your local dealership’s service center today and let them know what signs your vehicle is showing for brake concerns. The connection between grandparents and grandchildren is one of the most meaningful and rewarding relationships. Grandparents can offer their grandchildren timeless wisdom about life and offer them a space to share their feeling. Grandchildren can help their grandparents to feel enthusiastic and young once again. This relationship has so much to give from both sides. Hectic schedules and distance can make it difficult to spend time with grandchildren. As time with grandchildren can be a rare occurrence, these moments should always be taken advantage of and treasured. Although everyone enjoys their gadgets, these devices are the biggest detractor of quality time in a relationship. Both grandchildren and grandparents are easily distracted by their phones and tablets. Getting rid of these devices is the first step in spending quality time with grandchildren. This step alone will open up time for more meaningful conversation and time spent together. Look at old photos or home movies. Although grandchildren and grandparents are related, it isn’t uncommon for there to be a generational gap in between. 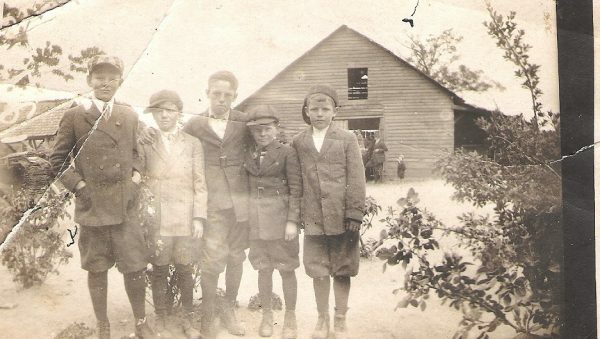 Grandparents grew up in a much different time period than their grandchildren. Furthermore, the large age gap also is a factor in the relationship. A great way to help alleviate these differences is by showing grandchildren old photos or home movies. This will help to create a greater sense of understanding and familiarity. Grandchildren only know their grandparents in their current age. Sharing old photos can help grandchildren to see their grandparents as their own individuals. Talking about the differences between these time periods is also a great way to connect with grandchildren. Children love to run around and have fun. It is this youth and vitality that grandparents sometimes have a tough time keeping up with. However, it is important for grandparents to join in on this play time in order to connect with their grandchildren. Whether playing a game of tag or throwing around the ball, grandchildren treasure the time spent playing with their grandparents. 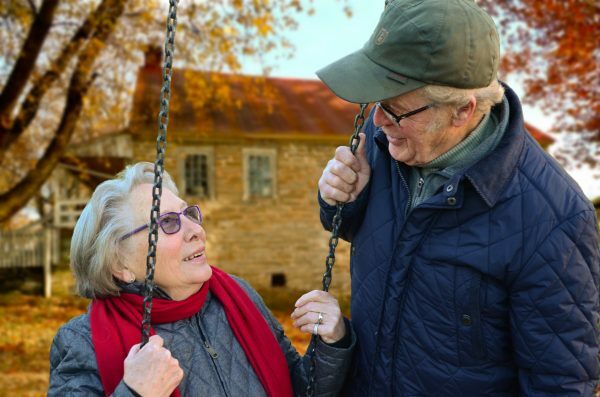 Even if there are some medical conditions or disabilities keeping a grandparent from being fully active, a little bit of fun will make a world of difference in the life of a grandchild. Whether taking a grandchild for a ride on an electric wheelchair or letting them climb on a walker, every little bit of playing helps. Family meals are an excellent tradition that have a host of benefits for children and parents. While grandparents may not be able to join for dinner every night of the week, it should be a goal to eat dinner with grandchildren on a regular basis. Dinner is a special time when people talk about their day. It is a very intimate setting that creates deep connections and strong relationships. This is also a great way for grandparents to see their grandchildren on a regular basis. Grandchildren who see their grandparents at dinner on a regular basis will begin to see them as very close family members. 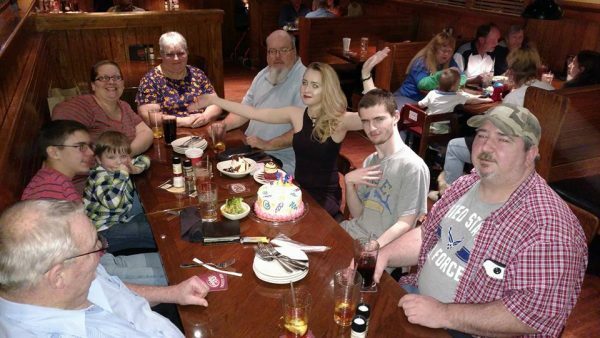 Nobody enjoys being that distant relative who doesn’t come around often. Regular family dinners are a great way to stay connected with grandchildren. One of the most important parts of connecting with grandchildren is creating memories that will last for a long time. Taking grandchildren on trips is a great way to accomplish this goal. A great advantage of being a grandparent is not having to discipline the children. This automatically gives grandparents a head start when creating amazing memories with their grandchildren. Short trips lasting a weekend or a short week are enough. Rent an RV and go camping, going to a theme park, and visiting a nearby town are all great ideas. Grandchildren will always be able to come up with trip ideas if grandparents cannot. There is a natural barrier that exists between grandchildren and grandparents. There are certain topics that grandchildren will always be more comfortable speaking to their parents about. There is a combination of distance and a lack of spending enough time together that creates this distance. In order to really connect with grandchildren, grandparents must show their willingness to discuss personal issues that may be facing their grandkids. This ability will be especially important as grandchildren age and begin becoming their own individual. Grandchildren will inevitably become closer to grandparents who are willing to discuss many personal topics. 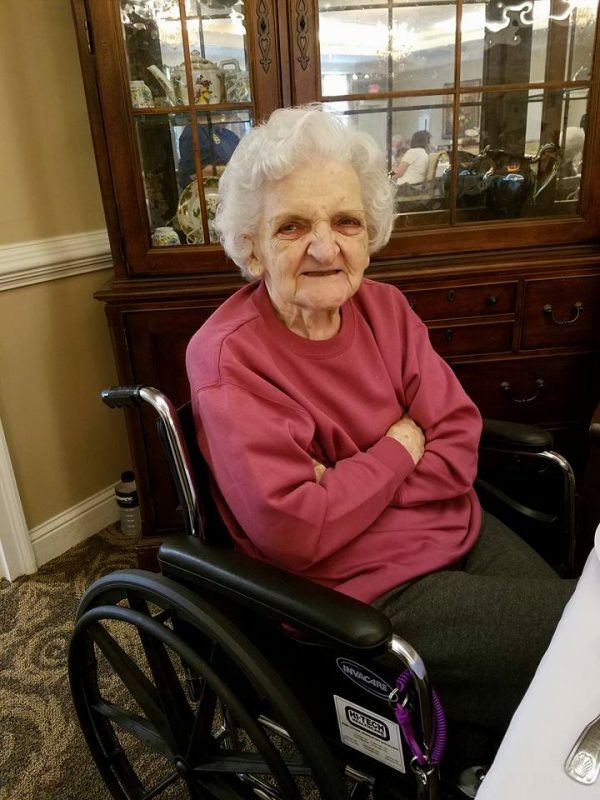 It is a growing trend that individuals with mobility issues due to disease, aging, or accident remain in their own home and receive the necessary care in their residence rather than in some institution. The types of actual services provided vary according to the person being served but the goal is to provide the therapies and tools necessary to make life easier. While services from a professional are often necessary, it may be the category of tools called Mobility Aids which are most important. A mobility aid is any device that is designed to assist the walking or movement of those with limited mobility. Some of the most commonly used aids are described below. The most critical need for many with mobility issues is simply to have support while walking. These aids come in the form of crutches, canes, and walkers and give the individual the ability to move from place to place. A person who is at risk of falling due to general weakness or poor balance could also benefit from these assists. The type and size of the assist that is most appropriate should be discussed with a therapist. Even those who walk easily may have difficulty navigating steps and, as you may have seen in TV ads, the staircase can be the most dangerous place in the home for someone with limited mobility. A chair lift for stairs like Easy Climber is one option to help individuals remain independent. This easy solution will allow residents the freedom to use the entire house rather than be confined to one floor. My Mother uses a wheelchair. She can no longer walk. When walking is difficult or impossible even with assists, an individual might benefit from a wheelchair or scooter. For someone with upper body strength, a standard wheelchair that can be self-propelled would improve their lives. For others who cannot move or are limited in their arms, a lighter weight sports model is perfect. These are light enough to be pushed by an aide or they can be battery powered. In either case, they can be folded and easily lifted into a vehicle for times when it is necessary to leave the house. Scooters are being made smaller and can be loaded into a midsize van or SUV. Speaking of the outdoors, it is a great advantage to be able to be outside whether to attend appointments, to dine out, to socialize, or just to enjoy the fresh air. It is important to note that exterior steps do not make the home a prison. First of all, there are stair lifts designed to withstand the weather and be used outside the home. Second, if a lift is not possible, a permanent or even portable ramp could provide all the independence a person needs. People with mobility issues generally spend most of the day sitting in one place. For that reason, it is important that they have something comfortable to sit on. In addition, after sitting for hours, it is often difficult to stand due to the stiffness caused by inactivity. The perfect solution is a Lift Chair. This is a new type of recliner that has an electrical lifting mechanism that lifts the chair into the air to give the person a boost and make it easier to transfer. These chairs are well cushioned and have back and leg rests that provide maximum comfort. There are also crane type lifts that act as harnesses to lift the person, wheel them from one place to another, and then set them back down. These lifts could be used to transfer from a chair to a bed or from a wheelchair to a walk-in shower or bathtub. Choosing any of these devices takes time and research and should be done with the aid of a therapist or other healthcare professional. Each device can be customized to accommodate the height, weight, and capability level of the person using them and it is important that you get the right fit. These tools are designed for comfort and safety and to make mobility a little easier for those who currently struggle. When the tools and the person are a match, staying active at home can be a beautiful thing. The uses for coconut oil extend beyond the kitchen. While coconut oil has become quite popular for cooking, there are many more uses for this product. 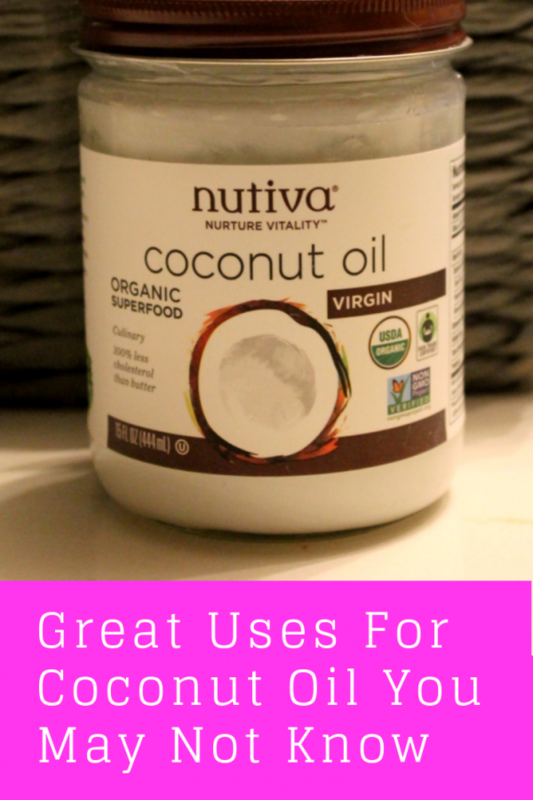 Today I’m going to share some of the various uses for coconut oil. From beauty to household needs, coconut oil is a great solution for anyone who wants to find a creative way to use this oil. Coconut oil may be a good sunscreen for your outdoor time in the summer season. Studies have shown that coconut oil can prevent sun exposure by about 20%, so it may not be your go to, but if it’s all you have on hand, then it’s worth using minimally as sunscreen. Use coconut oil to reduce the impact of eczema or other skin irritations. Simply rub coconut oil on your skin and let it sit. This is better than using a lotion that has other unnecessary ingredients added to it and will keep your skin less itchy as well as smooth when used on a regular basis. Swishing with coconut oil for 10 minutes, which has become referred to as oil pulling, reduces the bacteria that cause gum disease, tooth decay, and dental plaque. This is a good natural practice to keep your dental health up to par without using bad chemicals found in other dental products. Using Egg yolks, Mustard, Lemon juice or apple cider vinegar, Salt and pepper, Olive oil, and Coconut oil you can make your own mayonnaise. This makes for a healthier option for using mayo in your salads or on sandwiches when enjoying a meal. Summer season is full of those pesky insects that bite you and leave you scratching like crazy. Coconut oil is known for its anti-inflammatory properties that reduce the pain and itchiness that comes from bug bites. Gently rub a little coconut oil on the insect bite and cover with a bandage. Apply coconut oil to your hair before or after shampooing to help keep your hair healthy looking. Coconut oil will minimize the appearance of split ends and other wear and tear that occurs during the summer season in our hair. Use Coconut Oil To Clean Your Car! While there has not been much said about using coconut oil for cleaning your car, there are many uses for it there. After you wash the outside, polish it with coconut oil. Clean the dashboard with a soft cloth and a little coconut oil for a clean look without harsh chemicals you would then have to breathe in. Make plastic bumpers and tires shiny with coconut oil as well. You will be surprised at how far a little coconut oil with go. There you have it: various uses for coconut oil in your life. I hope that this list helps you use coconut oil in more ways than one from now on. It’s amazing what you can use coconut oil for, isn’t it? Did you know that Canada invites over 300,000 youthful and skilled immigrants every year? That is mainly because they have a burgeoning aged population and a waning youthful labor force. China is estimated to be heading towards the same predicament in a few decades to come. Americans are not any different. We might have a robust labor force, but our aging population is growing bigger every day. However, were it not for technology, the world would be heading into a state of panic at this rate. How hard would life be for the youth if technology did not exist to help them take care of the elderly? Perfect Sleep Chair lift chair recliners can help with mobility issues, such as getting out of a chair or sitting down. For the elderly, this can be a real help. Technology is making senior citizens lives easier. Technology advances every day and some of these advances are for the aged population. The following are some of the most modern technological devices, gadgets and applications that continue to increase the independence of the elderly. These innovative systems have hardware, software and human response components. They are designed to help virtual caregivers in monitoring the welfare of senior citizens. The systems are designed to allow the elderly to keep checking in after certain intervals and to raise an alarm to healthcare officials whenever they don’t. The system allows seniors to live alone as long as they are of a capable mind and as long as they are physically mobile. Most elderly people suffer from frequent falling, and that is why bone fractures are so common among seniors. A hip fracture can happen so easily. Their bones are easy to break, and that fragile nature is bad especially because seniors are prone to these frequent falls. The belt, however, saves them from all that. It senses whenever a senior is falling and deploys airbags to cushion his or her hips from any impact. Seniors are oftentimes required to take many pills to regulate their aging symptoms. The drugs treat some of their conditions, prevent others and relieve pain. However, prescription medication should be taken accordingly to a doctor’s direction. Sometimes the aged have a tendency to forget swallowing their pills on time. They become forgetful and they need alarms to remind them whenever they forget. Pill boxes with an alarm will help seniors to take their medications at the correct times of the day. Seniors have always had to constantly go to medical labs to determine whether their sugar levels are safe. However, when glucose sensors became available, tracking blood sugar levels became much easier. Seniors can determine their diets based on their sugar levels by just waving a transmitter. Seniors need to take regular walks for exercise. However, sometimes there is some memory loss associated with old age. Seniors can easily forget their way home, and they could even forget their names. Their primary caregivers often feel conflicted about allowing them to take regular walks to free their minds from stress. However, GPS tracking systems take care of all that. The technology has been around for a while, but now it is so readily available. Furthermore, it is now advanced enough to determine locations very accurately and to show locations in ultra-accurate details. This technology can be a lifesaver. Just because senior citizens took longer to catch on with the internet and social media does not mean that they do not appreciate it. They have evolved to be some of the most frequent users of the internet, especially the retirees. They depend on the internet to do research about their bodies and their health conditions. They read a lot of information about health. They wonder a lot about the conditions of their peers. They become appreciative of good health in general. The fact that they are empowered to keep in touch with their friends, children and grandchildren via chat services and social media makes it even better. Cell phones are typically the most common technological device in the world. As much as the devices are important to us, seniors should be using them too. Cell phones are lifelines for senior citizens. They need to keep them on their person and use them to call emergency responders or a family member in an emergency. The advancing years are not easy for most people. The elderly need help with things that used to be so effortless for them. These few ideas might just help them have an easier life, and that makes our lives easier too. This post contains affiliate links. If you click on affiliate links and make a purchase, I receive a commission for referring you to the merchant. Thank you for shopping my links. 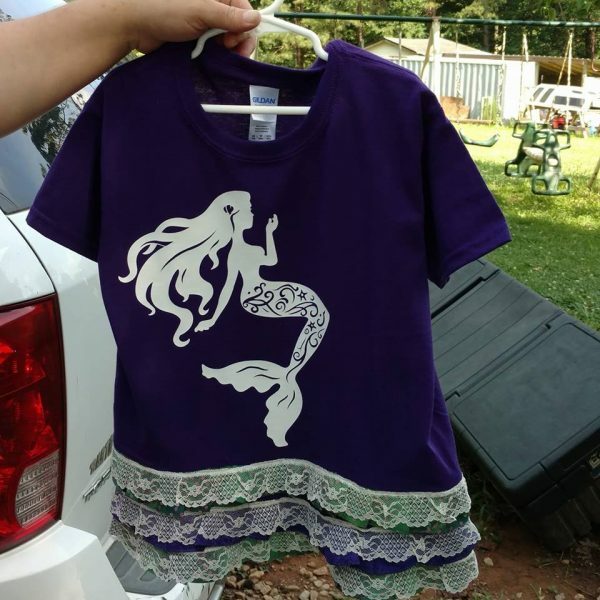 Ruffled Mermaid T-Shirt I made for the little girl next door. 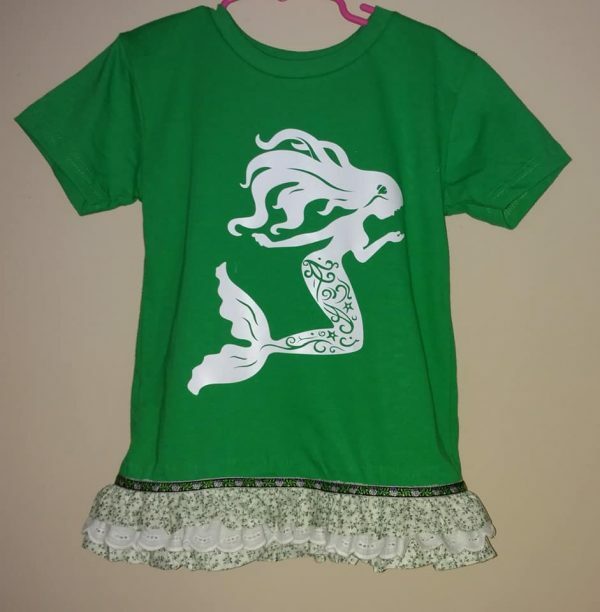 I have been making these cute ruffled t-shirts with a mermaid iron on lately. They are so cute for little girls, and so easy to make. I have a Cricut Explore that I won in a giveaway several years ago. It took me over two years to take the Cricut out of the box and start using it. I was sort of afraid of it, because I did not know it was so easy to use. Now I use it all the time. 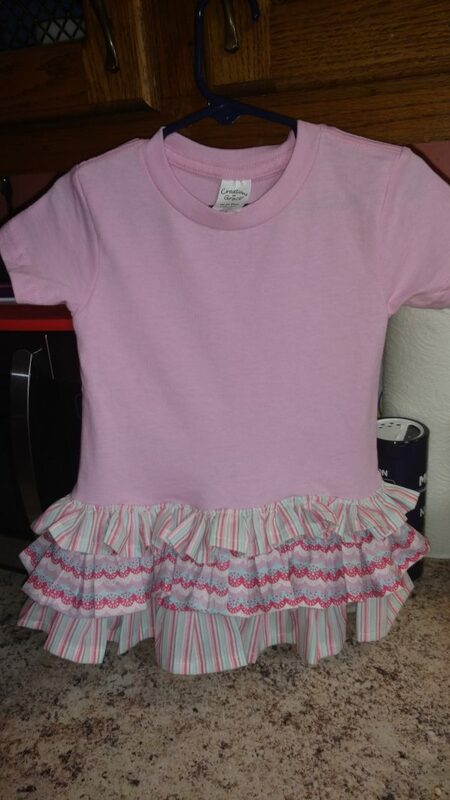 Pink ruffled T-shirt with no iron on. The first ruffled T-shirt I made did not have an iron on on it. I just sewed on the ruffles, and was done. Then, I took it to Southern Charm & Gifts to sell it. One day, Sharon, the owner of the shop, called me and asked me if I could put an iron on on a shirt that a customer bought. I said I would do it and when I went to pick it up, I found out that the person who bought it was my neighbor! My friend and I laughed about that so much. After that, I have been putting iron ons on just about every shirt I have made. Ruffled T-shirt with mermaid iron on. I messed it up so bad when I was sewing on the ruffles, so I had to sit and pick out all the threads with a seam ripper to take off three rows of ruffles and a trim. Y’all know how much I hate that dang seam ripper! The next morning, I sewed all the ruffles and trim back on, and ironed on the mermaid. I think the shirt looks really cute. This mermaid svg file is so cute! 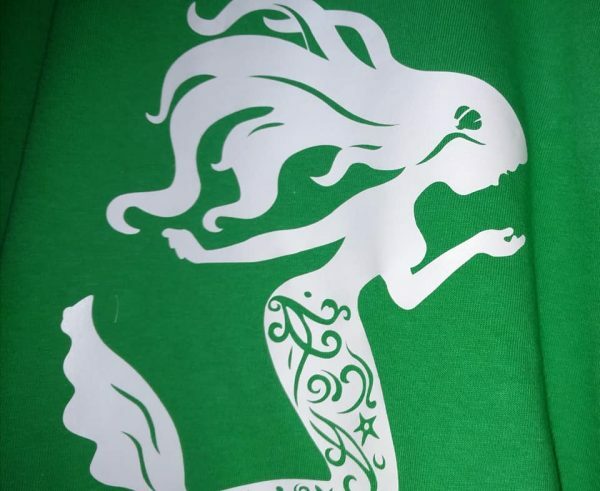 This is a close up of the mermaid cut from an svg file using my Cricut Explorer. It looks really complicated, but it is easy to cut, and then easy to pick out the pieces, or weed, the vinyl. The little girls around here love mermaids. 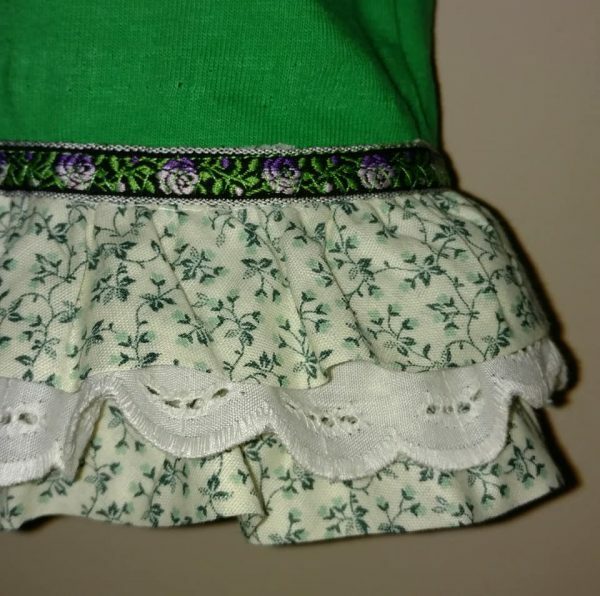 Close up of the ruffles and trim on the T-shirt. On the first couple of T-shirts I made like this, I made my own ruffles. That was a pain in the you know what! After that, I found a group on Facebook where you can buy fabric, trims, lace, ruffles, and all kinds of sewing related supplies at deep discounts from other people who sew. They are looking to destash their supplies of fabric and other stuff. These ruffles were some that I bought from that group. They were so much easier to handle and sew, that I don’t think I will ever make another ruffle. That ribbon trim was just perfect to finish off the top row of ruffles. I am selling these shirts, if you would like one. I can get the shirts in sizes from 6 months to 4T and from size 5 to size 10, in white, red, pink, purple, green, yellow or black. The iron on can be either a mermaid or a unicorn. Please send me an email if you would like to have one made for your child or grandchild. 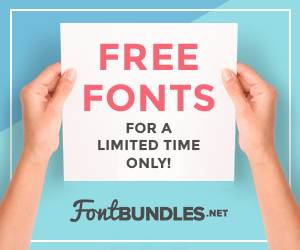 $15 off Cricut EasyPress™ bundles with code EASY15. Valid 9/12-9/18. Fabric Sale! Score 30% off with code FAB30. Valid 9/12-9/18. Accessories Sale! 30% off with code ACCESSORY30. Valid 9/12-9/18. Cutting Materials Sale! Snag 30% off with code CUTTING30. Valid 9/12-9/18. OH, and get FREE Economy Shipping on orders $99+ to US and Canada. 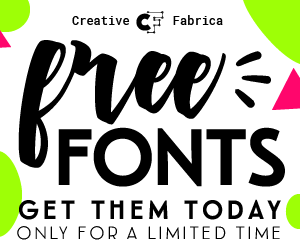 Use code FREESHIP9 through 9/30/2018!! Winter will be here before you know it. With the cold weather, there are challenges that come with car ownership. 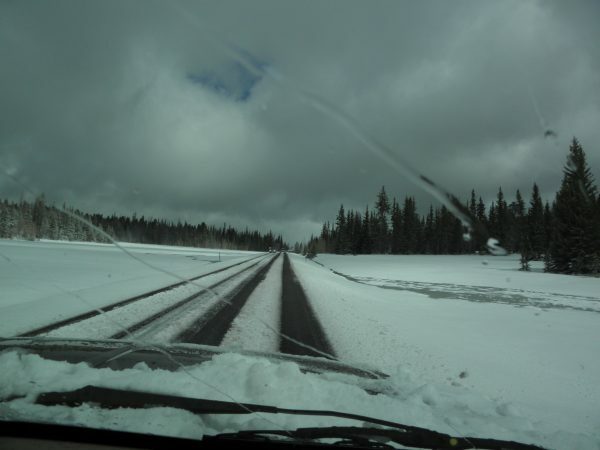 The icy roads, heavy snow, and salted streets can cause issues for even a well-maintained car. Here are a few winter car care tips to make sure to have in top order for winter. During the winter weather, the battery has a harder time to start the car. It takes more power to cold start a car than during the warmer summer weather. It is a good idea to have a volt test done on the battery to make sure the battery is in good working order. If the battery isn’t in good working order, it is a good idea to get a new battery before you find yourself stranded with a dead battery. Many people do not think about washer fluid when they think about winter car care. Window washer fluid should be topped off and kept full during the winter. With the slush and salt on the road, it can be vital to have the washer fluid full in order to see when driving. During the winter months, it is a good practice to make sure to keep the gas tank full. If not full, it is extremely important to not leave the gas tank extremely low. When the tank is not full, the tank can have water in it, and the water can freeze inside of the fuel pump. This can cause some damage. A full gas tank can also keep the car running if you find yourself stranded on the side of the road. In order to run the heat, the car must be running. Coolant is extremely important to the car. The antifreeze does exactly like it sounds, It keeps the engine from freezing in cold temperatures. It is very important that there are no leaks in the coolant system that can cause the coolant to drain out. The antifreeze that is mixed with that water in the radiator should be a 50/50 mix. Making sure these few things are a top priority for winter car care can help make sure the car is running at its best and doesn’t leave you stranded on the side of the road. If you are not able to do these things you can take your car to the dealership. The service department can check the battery, add antifreeze for you, and check for any leaks in the system. It won’t cost much, and will save you lots of money for repairs if it is not done. Road trips are a great way for families to get out and see new places without the added expense of flying. For many families, if it wasn’t for road trips, there wouldn’t be many vacations at all. There are ways to make road trips even more budget-friendly. One of the best ways to make road trips more affordable is by packing snacks and meals. Packing your own healthy snacks and meals lets you have control over what you are eating and what you are spending on food. Many people think that road trip snacks must be junk food. Things like cookies and fruit snacks travel well and are easy to eat in the car. While that is true, it doesn’t mean that the only food that goes well on a road trip must be junk food. Most fruit and vegetables travel well. While some things, like bananas, are more fragile than others, it doesn’t mean that you can’t take fruit and vegetables on a road trip. The key is to plan. Have the fruit and vegetables portioned into separate containers. This makes it easier to grab what you want. It also helps prevent large spills and wasted food. 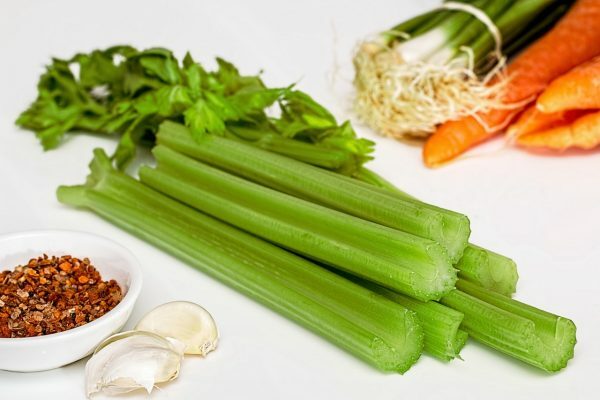 For foods that taste better with dip – Things like celery or apples taste better with peanut butter. Some things like carrots taste better with dressing. For foods like these, cut them into pieces. Instead of having a separate container to deal with in the car, put the peanut butter or dressing in the bottom of the container. Then add the snack on top. It is easier to dip celery into peanut butter than to try to deal with a piece of celery with peanut butter smeared on top of it. Trail Mix is always a great idea for a road trip healthy snack. It is easy to eat, filling and can be tailored to your own likes and dislikes. Trail Mix can be a very economical snack as well. 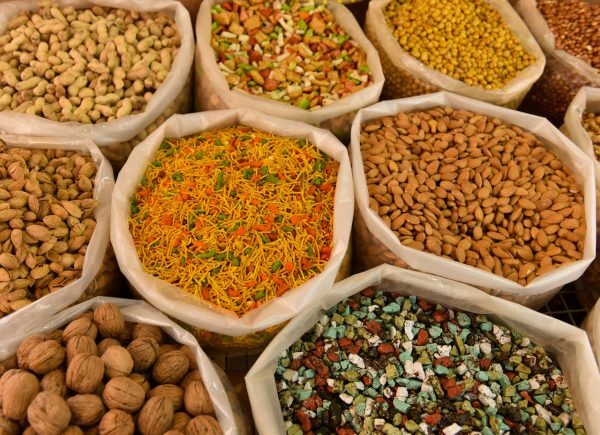 Create your own mix by buying nuts, dried fruit and chocolate chips or small candies. Some people prefer a granola in the mix as well. Combine all the ingredients in pre-portioned containers or plastic bags. Deli meats and cheese are another great healthy snacks idea. While deli meats and cheese can easily be made into a sandwich, it can also be eaten easily as is. Buy containers of prepared ham or turkey and the prep work is done for you. For people who only like their meats on a sandwich, pack the bread separately. This keeps the sandwich from getting mushy before you are ready to eat it. You will want to keep the meats and cheeses cold. Pack a small cooler, even a small collapsible cooler, like the kind for drinks, will work well. Along with an ice pack or frozen water bottles, the cooler will keep the food fresh. 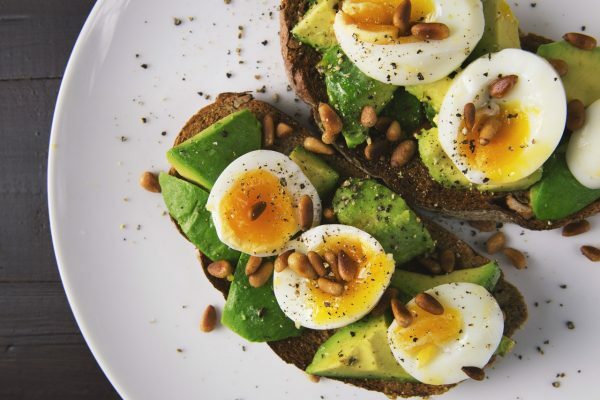 Hard-boiled eggs make another healthy snacks idea. It is best to have the eggs peeled before leaving on the road trip. It makes it easier to grab and eat if the eggs are pre-peeled. You will want to keep the eggs in your cooler along with the deli meats. When considering what snacks to bring on a road trip, think about the things you enjoy eating at home. You want to pack snacks that you would eat normally. When you try to step outside your normal eating habits, most people will choose to buy something along the ride. This means you are wasting money and food. Another way to save money on your trip is to have your vehicle serviced at the dealership before you go. There is nothing worse than having your car break down just because regular maintenance was not done. It can ruin a vacation for everyone. Have the oil changed, rotate the tires, change the windshield wiper blades. You’ll be ready to go, and have plenty of delicious, healthy snacks, too.